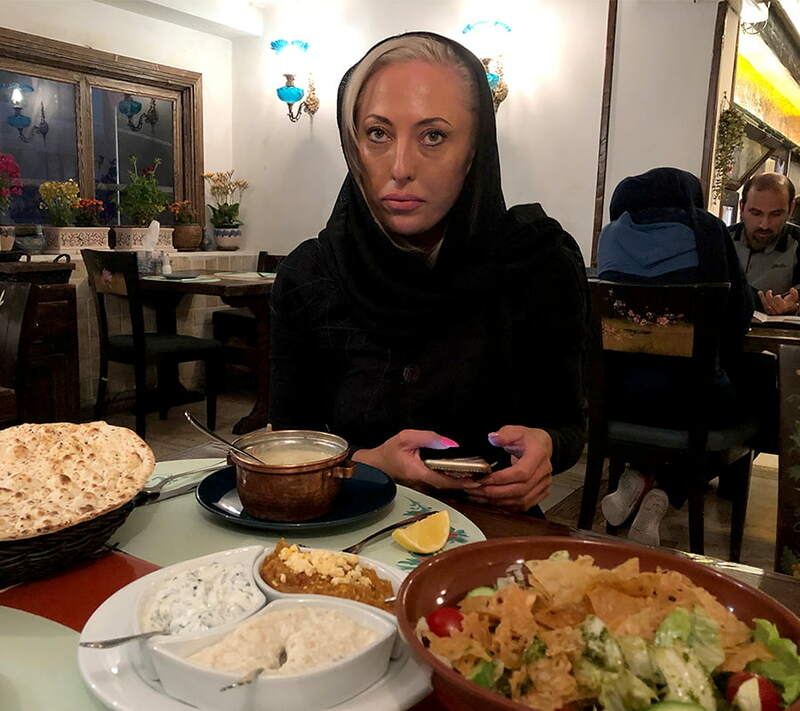 Meet Abigail from Australia who came to Iran for some cosmetic procedures. 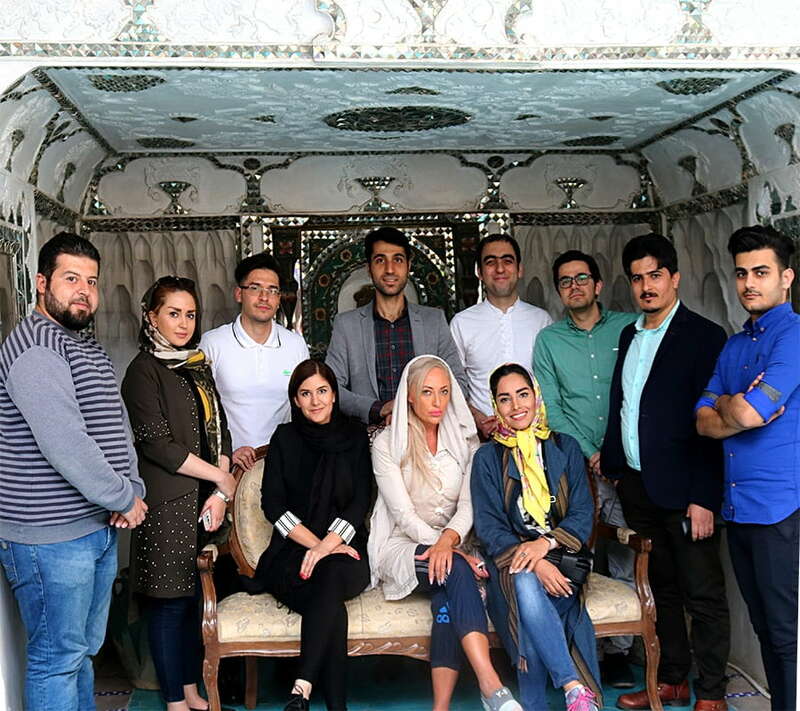 In this testimonial video, she talks about her experience of a trip to Iran for cosmetic treatments. As you can see in the video, Abigail compliments AriaMedTour on the good services it gave to her. 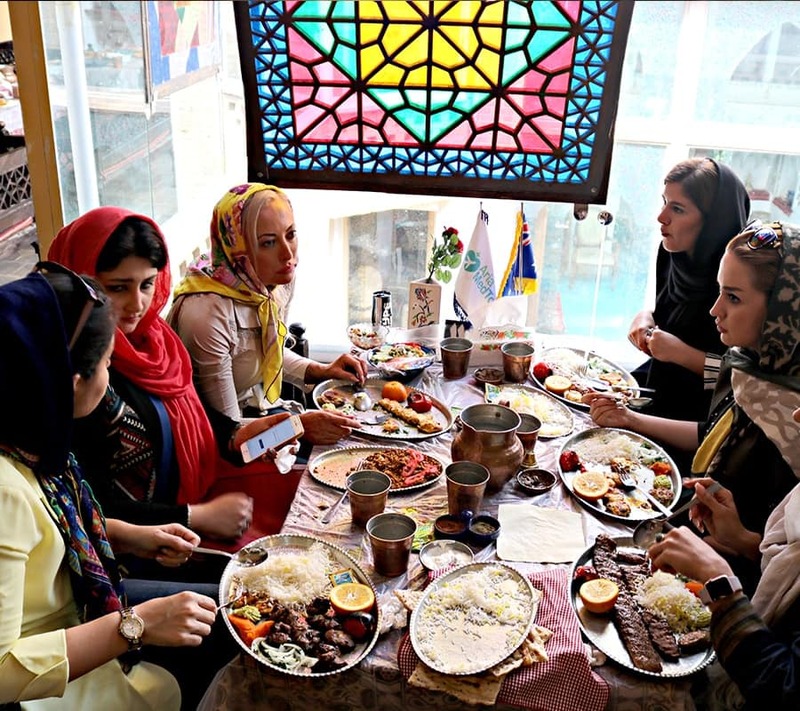 She also talks positively about traveling to Iran, particularly to Tehran. 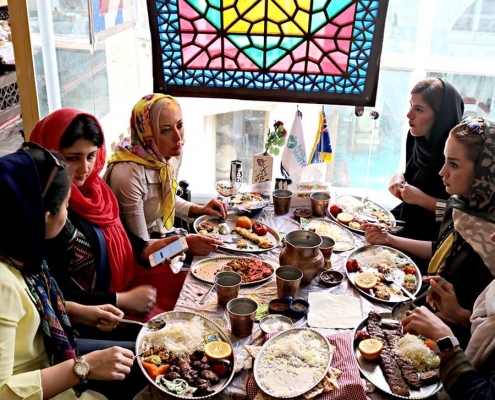 She says that her travel to Iran was ‘very safe, very good, very pleasant’, dismissing false presumptions that Iran is a dangerous place to visit. 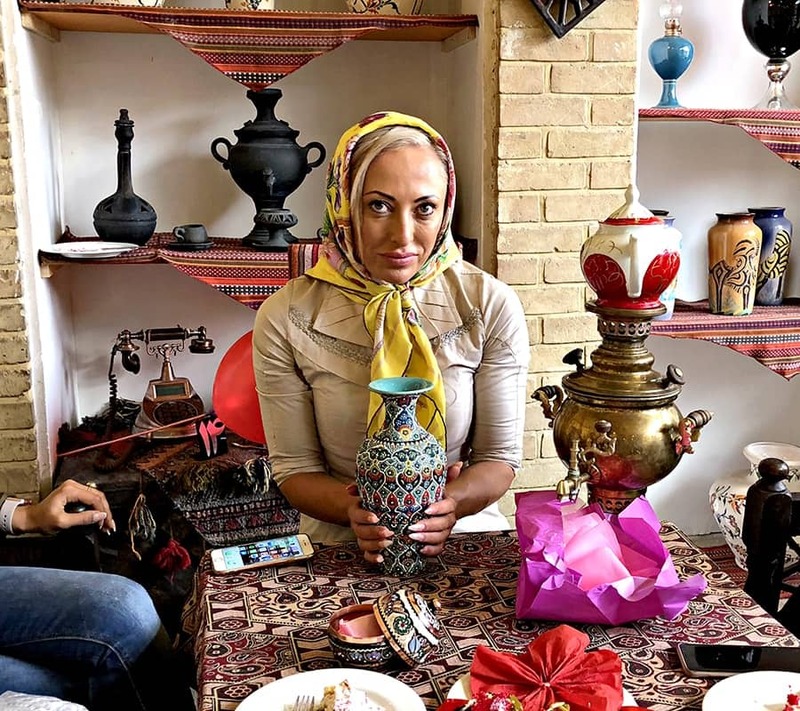 Abigail got to become interested in Iran for cosmetic procedures through an Iranian friend who talked to her about Iran and the successful healthcare system of the country. 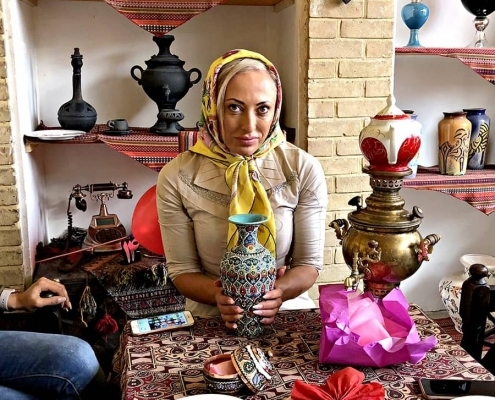 As she was looking for a good plastic surgeon, she searched on the internet to find more information about Iranian doctors and hospitals and to find a medical tourism facilitator to organize her travel and procedures. While searching the web, she came across AriaMedTour website. She browsed the site for a few minutes and read a few pages, and watched patient testimonial videos. Then she contacted the company for more information. 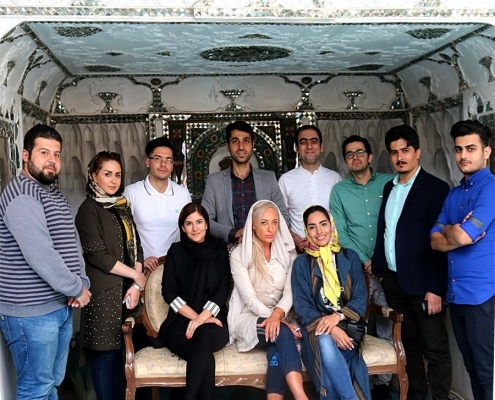 After AriaMedTour coordinators gave all details she needed regarding the best doctors, the cost of each procedure and the cost of other services such as hotel, transfer, interpreter, etc., Abigail requested for an appointment to be booked for her for facial non-surgical treatments. 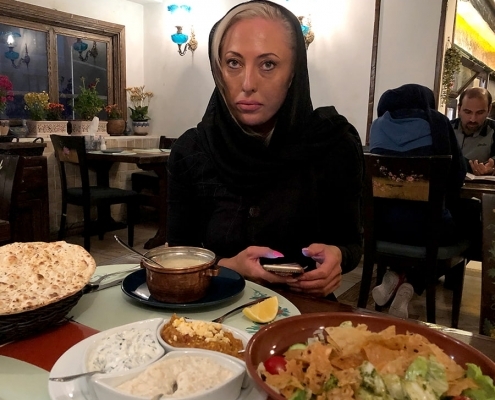 A ‘bikini athlete’—as reads her Instagram bio—Abigail took a flight to Dubai and then Tehran after plans were made by AriaMedTour. 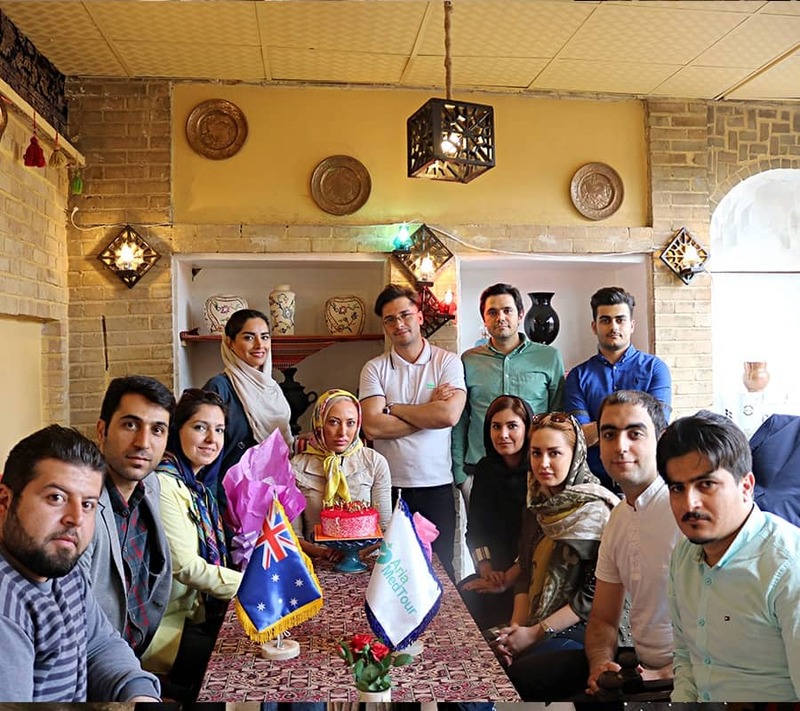 As Australia is one of the countries whose passport-holders can receive visas upon their arrival at the international airports of Iran, Abigail had no trouble in this regard and she received her visa at Imam Khomeini International Airport in Tehran. 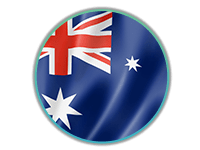 As a routine procedure in AriaMedTour’s medical-tourism services, an interpreter was dispatched to the airport to collect Abigail and take her to the hotel, which was already booked for her. 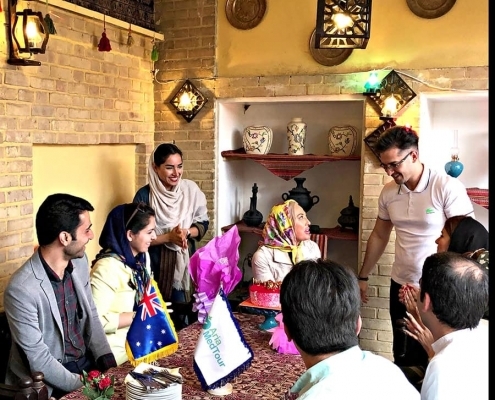 The interpreter first welcomed the newly-arrived guest with a rose, then he helped her with her mobile phone and internet. After that, he took a private taxicab by which they went to the hotel. Accompanied by an interpreter, Abigail visited her doctor the next day according to the schedule arranged by AriaMedTour. The doctor gave Abigail initial consultation after listening to her requests. He ordered pre-op tests and photography. The following day, she had Botox procedure done as well as some facial fillers and threads. 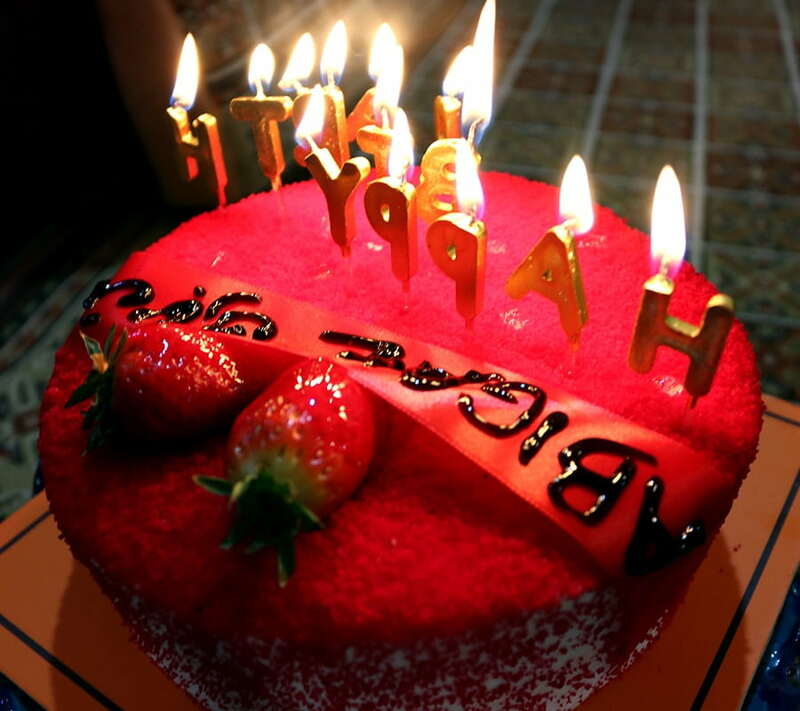 A few days later, Abigail had a cosmetic dentistry procedure at a modern dental clinic in Tehran. 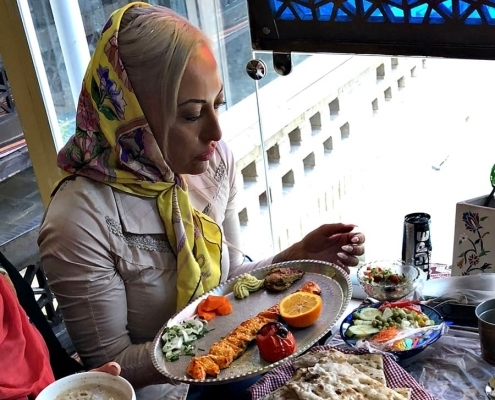 She also visited a doctor to talk about and plan a future breast augmentation surgery, for which she is going to return to Tehran at some future time. 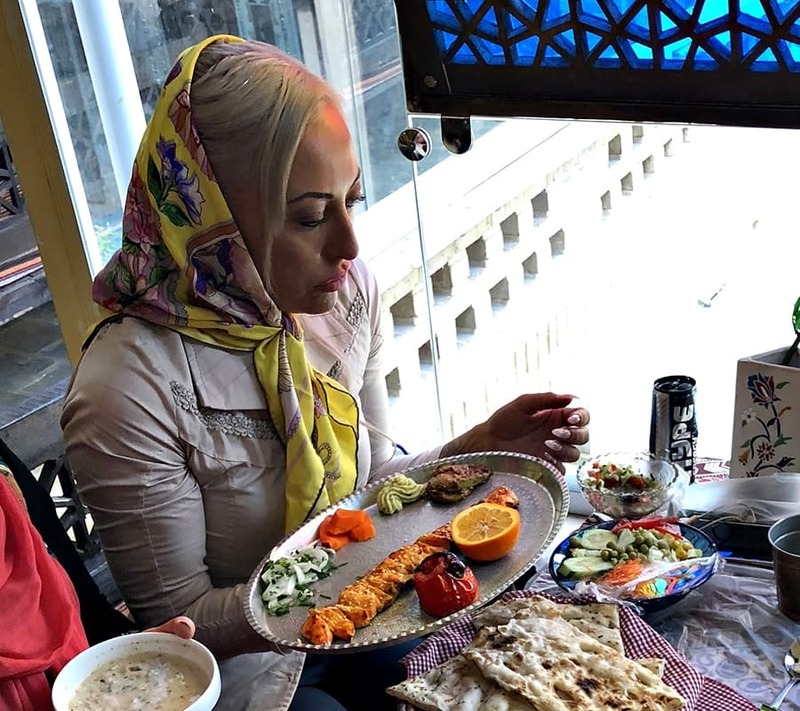 For Abigail’s cosmetic procedures a few days was enough, but as she loved Iran very much and also she had a friend here, she spends almost one month in Tehran. 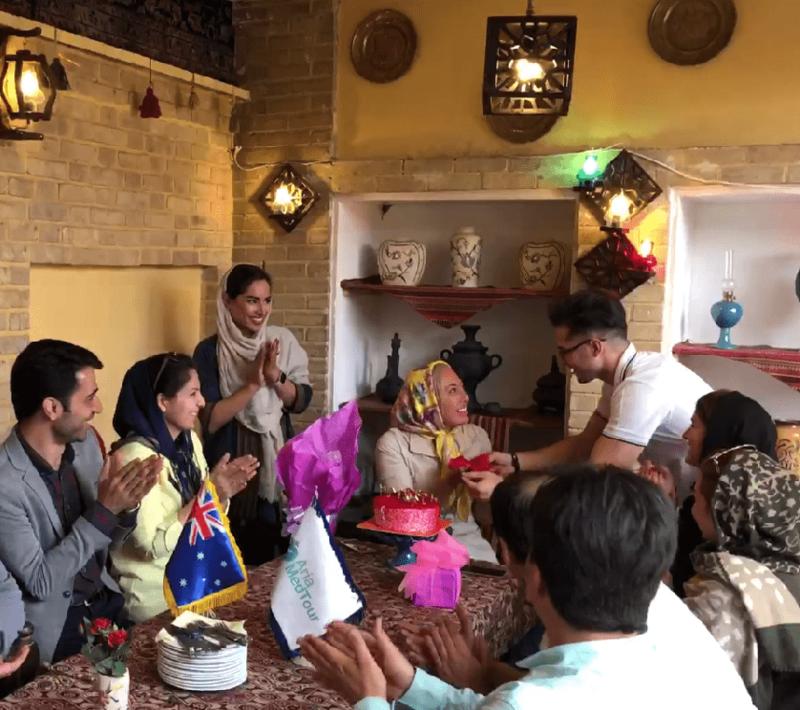 During this time, AriaMedTour organized a birthday party for her—a surprise one—at a traditional restaurant in Tehran. 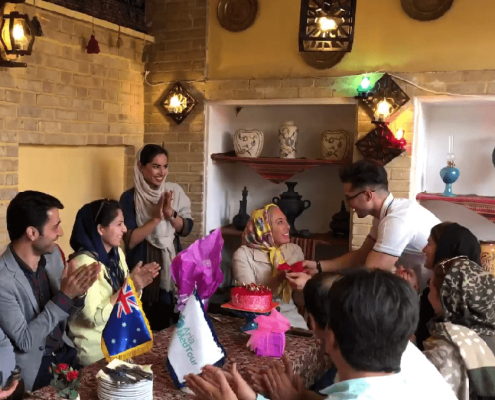 All the staff members attended the party, which was very appreciated by the Aussie guest. 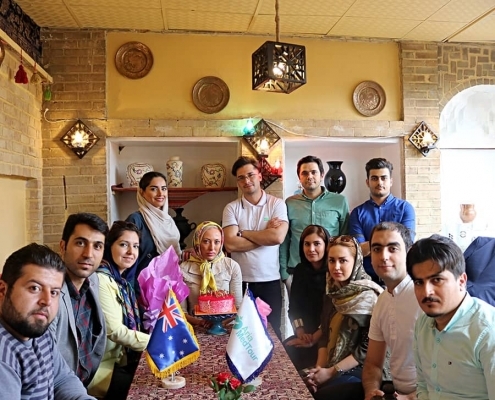 So far, Australians have shown great interest in Iranian medical and cosmetic treatments. 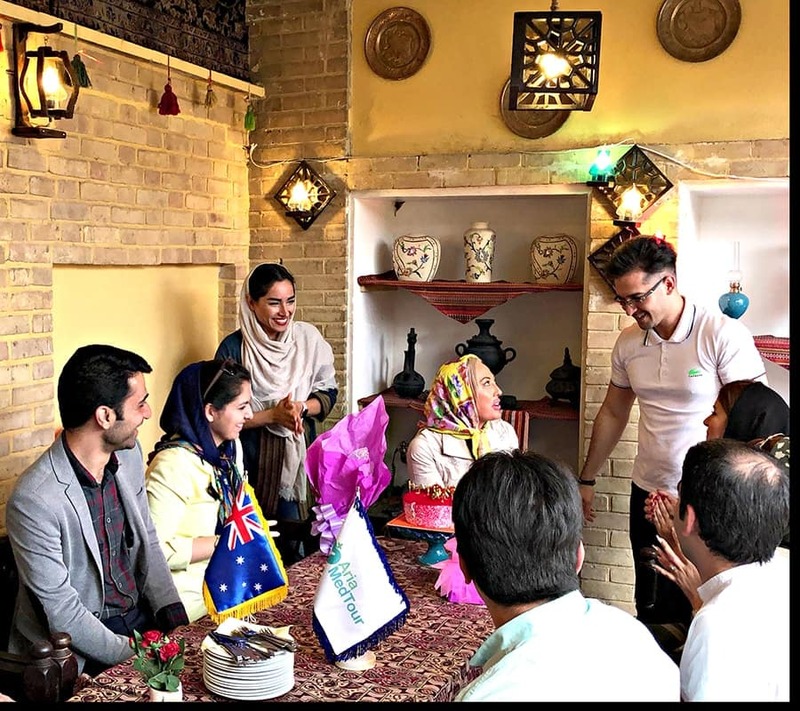 The reason for this popularity is the low cost of such treatments in Iran compared with Australia, albeit with equal or greater quality, as well as lax visa requirements for Australian citizens. 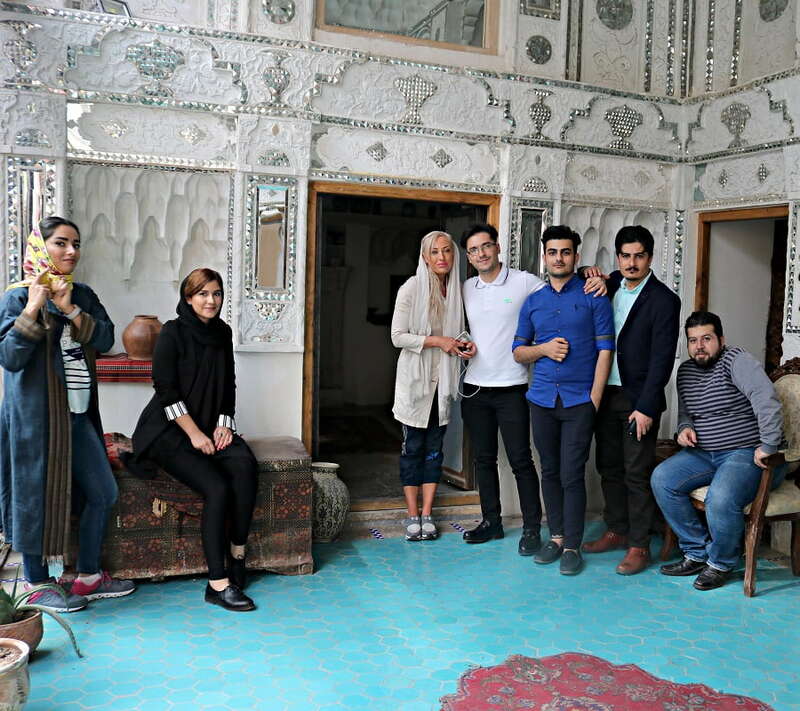 AriaMedTour specializes in operating medical tours for foreign patients who seek medical and cosmetic treatments in Iran. 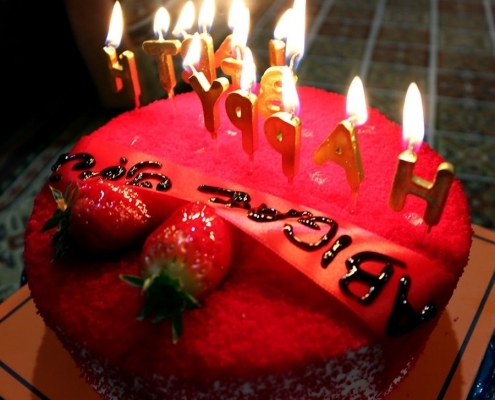 The company provides a wide range of services to patients at the most attractive prices. 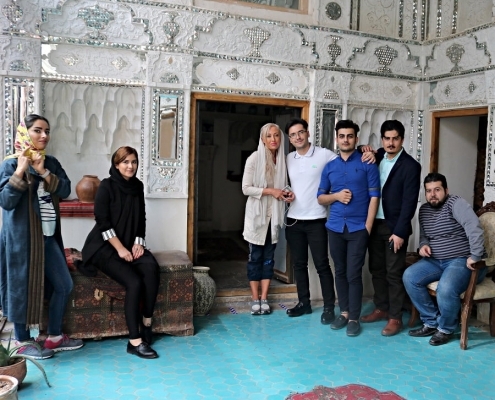 Now, let’s have a look at the photos of Abigail in Iran!